As with Contract Design, the success of the Shopping Experience is determined by the ability to engage customers through a skilful mix of architecture, design, colour and atmosphere. Sound settings, lighting and high-tech components. An effective display is an essential tool for engaging potential customers. Think of it as a stage for your brand and products. Make it stand out with unique elements that convey your message! Everyone is in a hurry. If we want them to stop and look carefully at what we have to offer, we must prepare the setting as if it was a set design. Accents of colour, design, vitality, customised layouts…put together they can create a combination of great impact. The shopping experience must evoke feelings. The more pleasant and engaging the environment, the more exciting the product will appear and the more inclined potential customers will be to make a purchase. Smart Solutions – intelligent, bright and elegant. Today, the shopping experience has gone mobile: a store is not just a physical space, it is also digital, which entails integration with new, high-tech solutions, an inescapable driver of the future of retail. Responsive: the layout and devices must be accessible and adapt to the customer, who is placed firmly at the heart of the shopping experience. Use technology to interact with the customer, even through smartphones. Interactive: an interactive and multisensory store is without doubt more engaging and attractive. Interaction – through proximity marketing tools – gives us a better insight into purchasing preferences and habits so we can meet customer demands with customised solutions, anticipating their needs. Emotive: people are looking for excitement and a store can become a place for customers to enjoy a complete experience – analogue, digital and emotional. 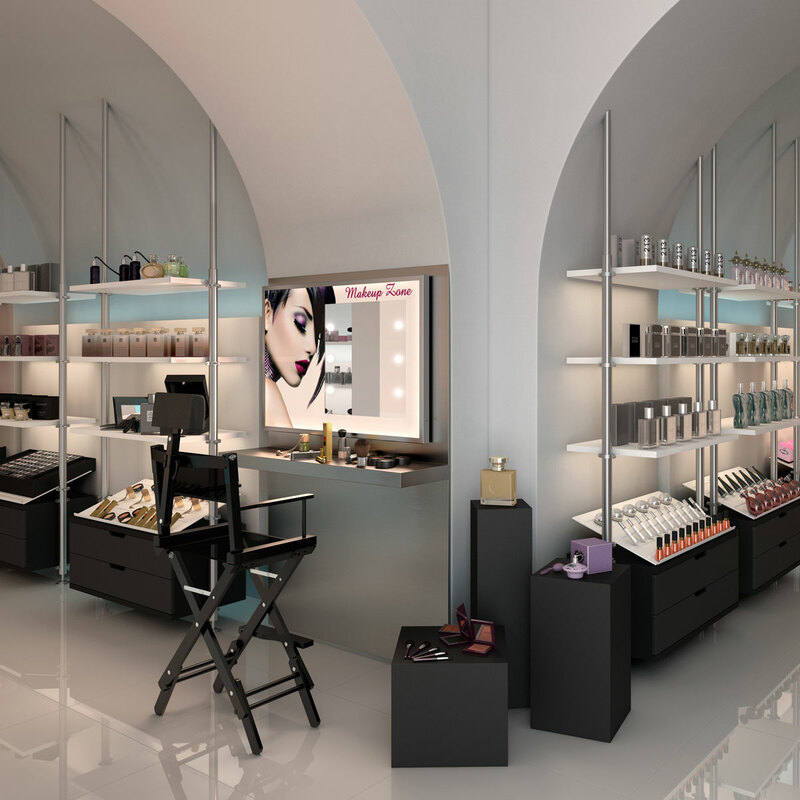 Lighting Design will help you transform your store using the art of storytelling. The strategic use of technology and light not only enhances the products, it also creates the right atmosphere, providing the perfect backdrop for stories and evocative images. UNICA by Cantoni is an Interior and Lighting Design expert, offering innovative and customised solutions, lighted panels and made-to-measure mirrors. Would you like to make your Shopping Experience as unique as UNICA? Contact us for a customised Lighting Design proposal!